Students train in firearms at the Historical-War Camp, in Borodino, Russia, July 24, 2016. For photographer Sarah Blesener, it was an unusual sight to see. 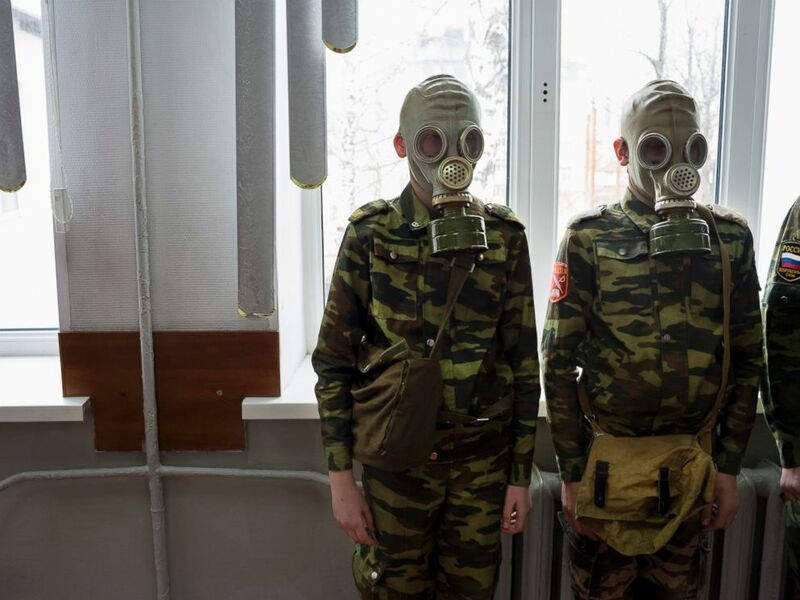 Children, some as young as age 11, were dismantling AK-47 rifles, learning details of military tactic and mastering how to properly dress in biohazard suits inside of a public school just outside of Moscow. It was part of an elective military education program that has more than 200,000 participants between the public education programs and patriotic clubs. 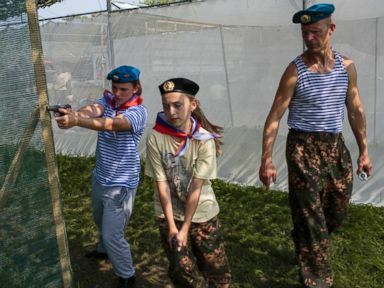 In 2015, the Russian government proposed a program that aims to achieve an 8 percent increase in patriotic youth and a 10 percent increase in new armed forces recruits over a four-year period. Blesener soon began researching and documenting these camps where children learn military history in an immersive and participatory environment. Similar to ROTC programs and cadet schools in the United States, these camps are common for children to attend during breaks from school and Blesener describes it as an atmosphere similar to a boot camp. Although Blesener sees the children’s interest in these camps as natural – especially in the context of adolescent socialization - her photography also speaks to a more nuanced conversation of nationalism and intergenerational war. 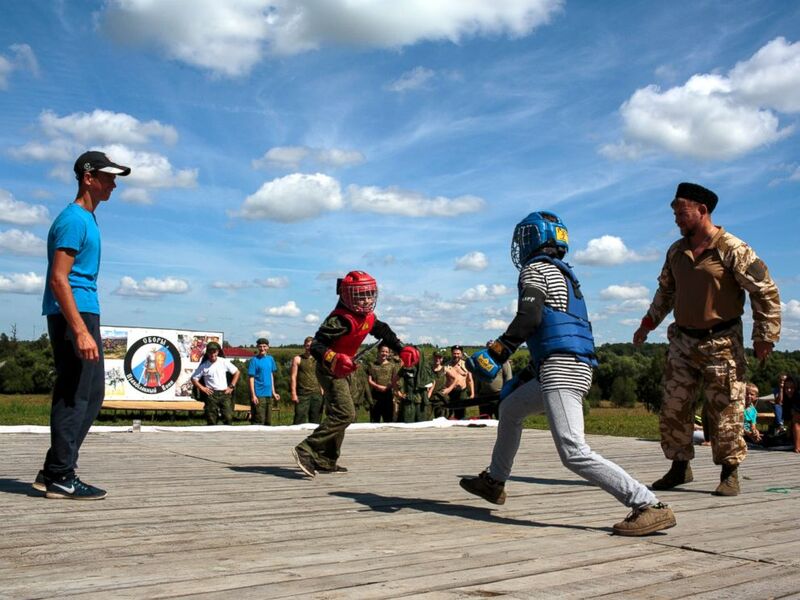 The third day of "Orthodox Warrior" camp is a day of knife fighting, a popular Russian sport. The camp takes place in Diveevo, the center of pilgrimage for Orthodox Christians in Russia, Aug. 5, 2016. “I find the rise of global nationalism to be incredibly disturbing, and it is what fuels much of my research and photography,” said Blesener. Blesener studied documentary photography at the International Center of Photography in New York and began her career photographing the ways ideology is formulated during adolescence. A group of friends from Stavropol undress, swim and shower at a well of freezing, fresh water. She started her day with the campers; activities commenced at dawn. The students marched immediately to drill, followed by singing of the anthem and on to breakfast. While some campers came from cadet schools, the majority of the campers had no previous experience with military education. Many parents were surprised by some of the children’s enthusiasm for these exercises. “They were proud of their country, proud of their history, and didn’t seem to question much of their patriotic training,” said Blesener. Students stand ready as a teacher observes how quickly they can dress in gas masks, April 4, 2016, at School #7 in Dmitrov, Russia. Blesener does not see this type of patriotic training as unique to Russia itself, and after spending time in Russia and Ukraine, Blesener sees this as more of a global phenomenon. 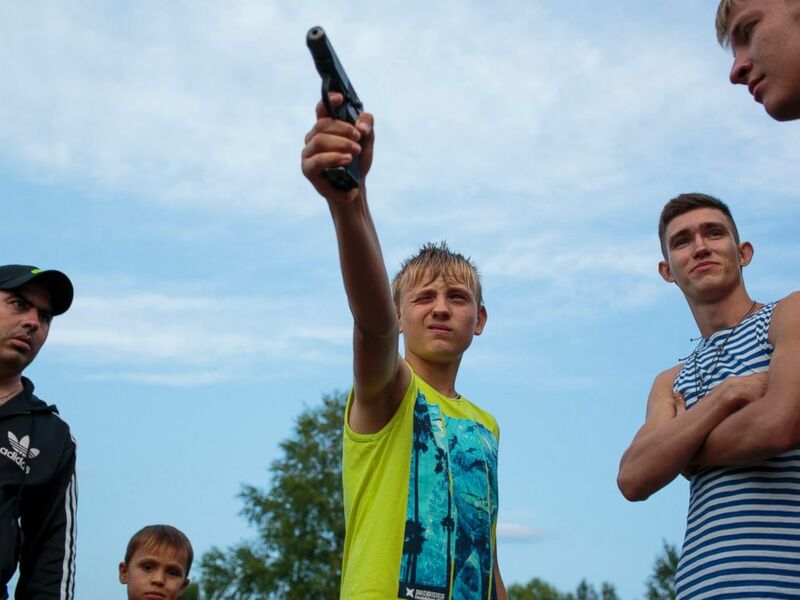 Igor Fast, 14, from Stavropol practices shooting before the start of the "Orthodox Warrior" camp. They are using air-soft guns for practice and competitions. With regard to the current election, many of the children Blesener is in contact with have expressed some optimism in America’s future. She said they expressed hesitancy at many of Trump’s rhetoric but were hopeful that the U.S. would continue on a path of friendship with Russia, especially with regard to sanctions and aggressive discourse in the media. 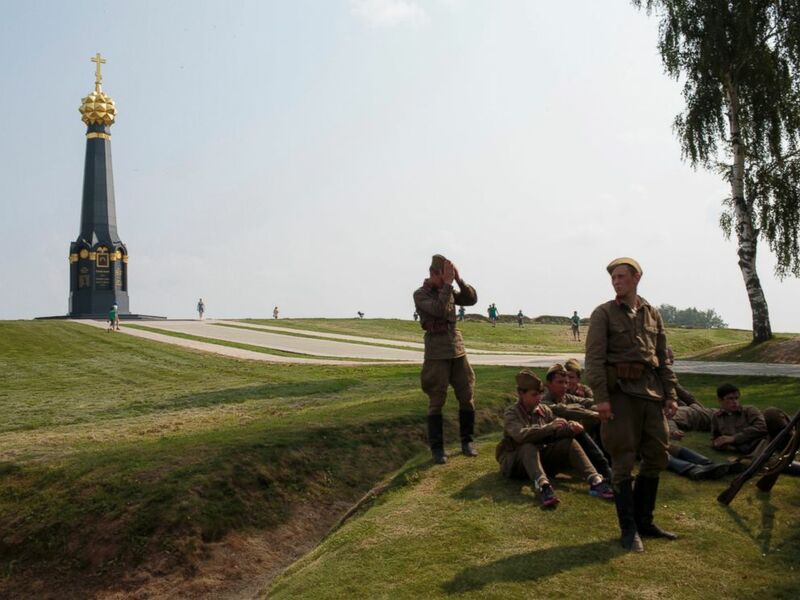 A unit dresses to re-enact Soviet Russia during WWII as part of their historical education at the Historical-War Camp, in Borodino, Russia, July 26, 2016. Most striking about these images is the mature concepts constructed into games and competition that replicates common adolescent experience. Campers are seen laughing and dancing with friends juxtaposed directly with drill lines and a conditioned stoicism. This gradation in the content of the photographs tells a story larger than one country’s next generation and draws a clear parallel to America’s concept of patriotism. “I try to be optimistic for the future, which is why I most often photograph and do projects about youth and adolescence. I have to keep documenting and putting together a global society I find very confusing, somewhat like a puzzle, and I will see what I discover,” Blesener said.